TrueSport®, a positive youth sports movement powered by the U.S. Anti-Doping Agency (USADA), is excited to announce the release of a new resource to help parents and athletes make healthy choices when it comes to nutrition and dietary supplements. Because many athletes and consumers believe that supplements are necessary to reach peak performance, the Supplement Guide details the benefits of a food-first nutrition strategy. The Guide provides comparisons, including the nutrient value of a banana and water compared to a sports drink, to explain that all the benefits of supplements are often better secured through foods, which are the safer and more reliable way for athletes to get the nutrients they need. Olympians Lauryn Williams and Steve Mesler further reinforce the benefits of foods over supplements by explaining how they reached the highest levels of sport with a food-first strategy. For athletes who consult with a medical professional and identify nutrient deficiencies, the Supplement Guide also provides guidance on how to avoid risky supplements, in part by using third-party certified supplements. Alicia Kendig, MS, RD, CSSD, Certified Specialist in Sports Dietetics for the United States Olympic Committee, also explains when supplements may be appropriate and which supplements she is willing to recommend to athletes. 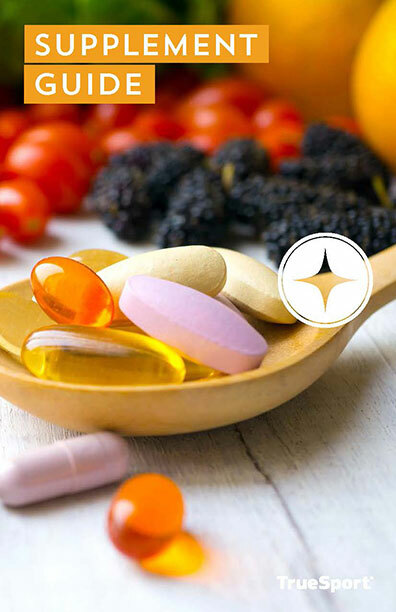 The comprehensive Supplement Guide also helps parents realize and reduce the risks associated with dietary supplements, which undergo no pre-market approval and consequently have an increased risk of contamination. The Supplement Guide can be downloaded for free here and hard copies may be purchased here.